In today’s blog, we’re going deep into the heart of NITECORE’s headlamp lineup so you can understand the differences between models and find exactly what you need whether you’re camping, running, working, preparing or anything else in between. 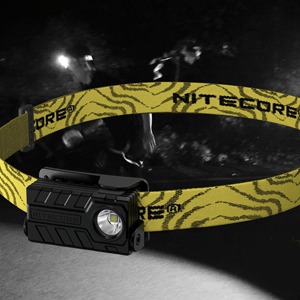 The NITECORE NU Series is where you’ll find our lightest and most compact headlamps. Built-for the movers and shakers in the world, the NU series has options ideal for running, cycling, hiking and exploring. 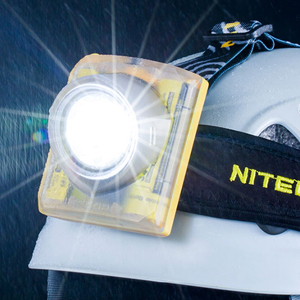 Some of the more robust NU headlamps offer multiple output types such as red or high CRI beams. For campers, red output is indispensable for maintaining night vision or searching through gear without disturbing a tent mate. And high CRI? For up-close reading and working, you can’t beat the color and detail rendering from these sunlight-like LEDs. Powering the NU series is simple and convenient. Built-in batteries with USB charging ports give you plenty of options for power such as AC adapters, laptops, power banks and solar panels. Why we love it: The NU32 provides one of the best balances between size and performance with its 550 lumen primary white output and secondary red/high CRI outputs packed into a comfortable body you can wear for hours. Why we love it: The NU20 is both feather light and easy to use making it a great option for those of you who just need a white output. 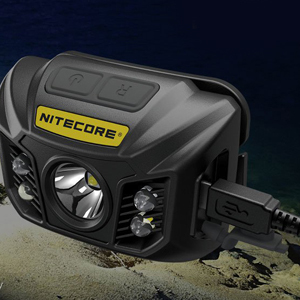 If you need a headlamp for work or just want the very best and brightest NITECORE offers, the HC headlamp series offers some of the most robust and high performance headlamps around at a price that won’t break your wallet. From the HC33’s ultra bright 1800 lumen output to the HC65 with three output options, darkness doesn’t stand a chance against the HC series. 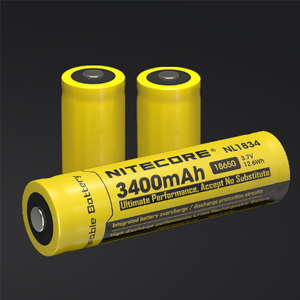 As much as we love the simplicity and ease of the NU series’ built-in batteries, you’ll want something with a larger, replaceable battery to get the brightest outputs and longest runtimes. Plus, the ability to swap out spent batteries for a fresh set of backups means you aren’t limited by the capacity of an internal cell. 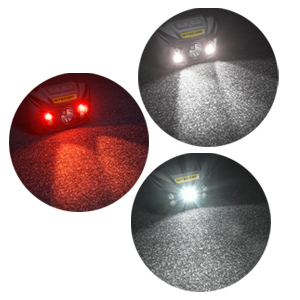 The HC series solves this issue by using powerful 18650 li-ion cells which can be charged externally (and on several models, in the headlamp itself!) and allow for the outputs professional users like yourself demand. Why we love it: This headlamp, simply put, has it all. 1000 lumen primary output? Check. Secondary red and high CRI? Check. Built-in charging? Check. Removable battery? Check, check check. 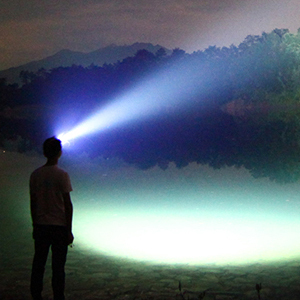 Why we love it: Not only the HC33 the brightest headlamp NITECORE offers, but this L-angle headlamp can quickly be converted to a handheld torch. Powered by a single 18650 battery, the HC33 is also one of the slimmest options in the HC series and extremely comfortable for extended wear. For professional users working in dangerous environments, the EH series offers two intrinsically-safe options ideal for mining, petroleum workers and other high risk industry workers. I don’t see the HC90 Headlamp listed in your list of Headlamps…why? We don’t include the HC90 as that headlamp was discontinued by the manufacturer some time ago.